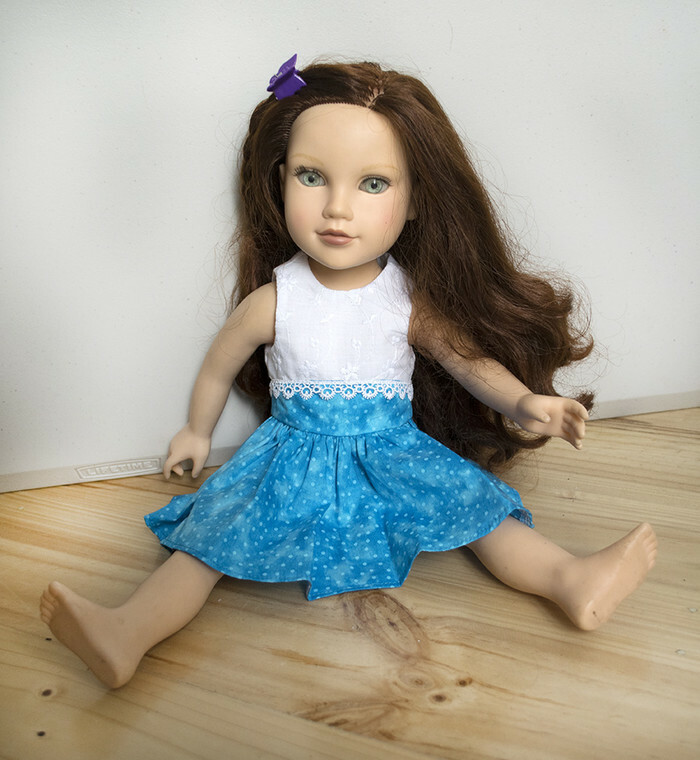 A pretty sleeveless dress for slim 18" dolls such as Journey Girl. 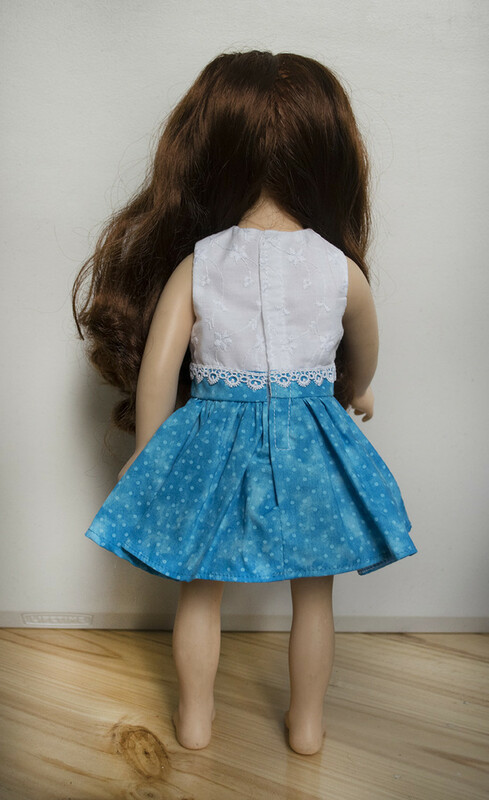 The skirt and wide waistband are made from a blue patterned fabric with a white broderie anglaise bodice. 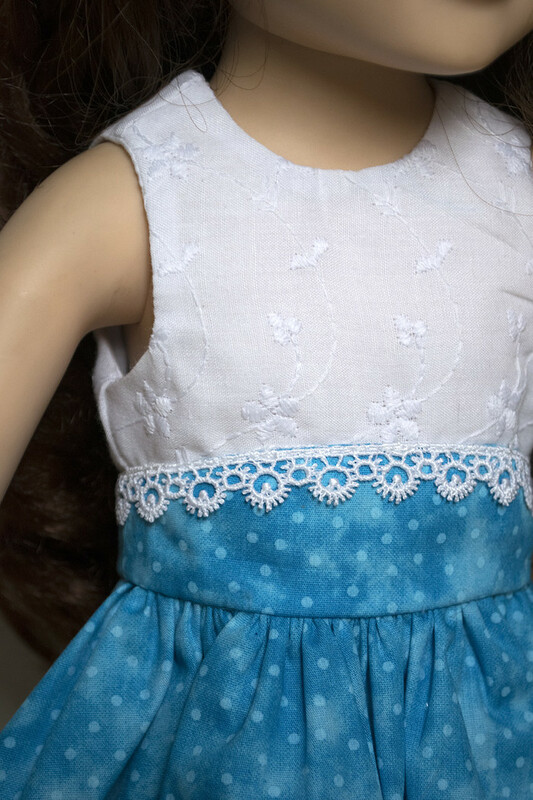 The top of the waistband is edged with lace. 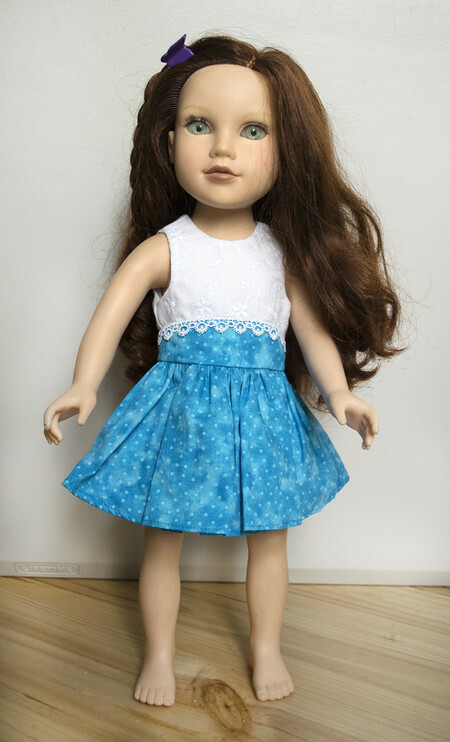 The bodice is fully lined with white cotton and the back closes with fine hook and loop tape to make it easy to dress your doll.